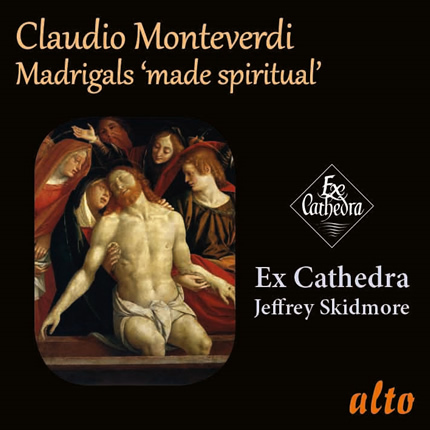 We’re delighted this recording has been re-issued, making available once again our premiere recordings of 19 famous Monteverdi madrigals, sounding revelatory as choral works in sacred guise. Aquilino Coppini, a friend of Monteverdi, was commissioned by the Archbishop of Milan to substitute the secular madrigal texts and publish them “clothed with spiritual words so that [they] be equally commendable to God and to his saints in churches.” The result is a set of glorious motets. Originally issued in 1997 on ASV Gaudeamus CDGAU 174. 7 Maria, Maria quid ploras?